The Hellcat Grand Cherokee is real and ludicrously fast! Despite endless rumors and ‘leaked’ images, no one actually thought Dodge would produce a Grand Cherokee Hellcat, let alone put it into production. But they have, and it’s amazingly glorious. Needless to say, it doesn’t disappoint on any level. Let’s start with what everyone wants to hear the most: figures and stats. 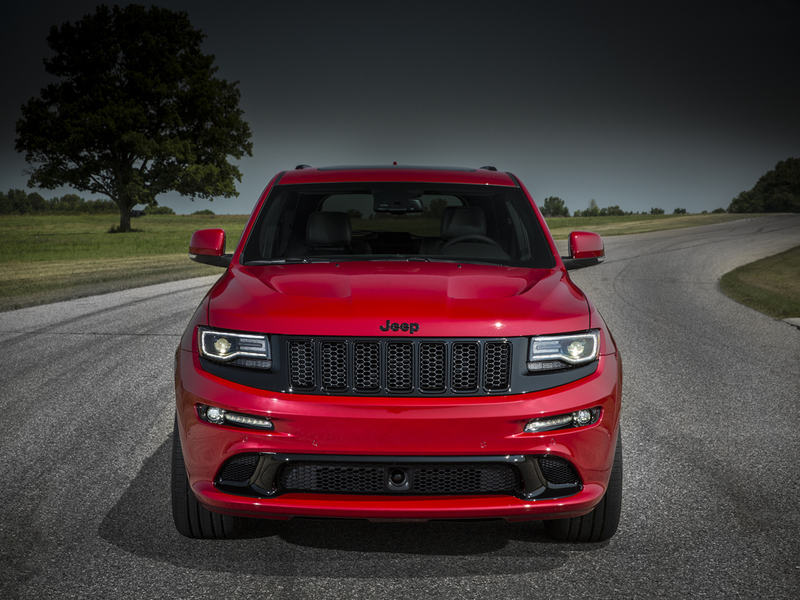 FCA has managed to shoehorn a 6.2-liter supercharged V8 into the engine bay of the Jeep Grand Cherokee, making the entire process look like a walk in the park. We expected a detuned version of the Hellcat’s engine, but we got the full-fat package. That’s right, all 707 horsepower and 645 lb-ft of torque. To say this Grand Cherokee is fast would be an understatement. The sprint to 60 miles per hour is dealt with in just 3.5 seconds and left to roam free it will eventually hit 180 mph. In a Grand Cherokee. Jeep claims it’s the fastest SUV currently in the world, and with figures like those backing that claim up, we’re not doubting them for one second. Dubbed the ‘Trackhawk’ (as per their Trailhawk moniker), it brings the fight to the Hellcat despite being larger and heavier. You see, unlike its lairy two-wheel drive sibling, the Trackhawk sends power to the ground through all of its four wheels. The on-demand 4WD system is more than capable of putting all that power down to the ground even from a standing start, meaning the Trackhawk can potentially best a Hellcat from a dig. 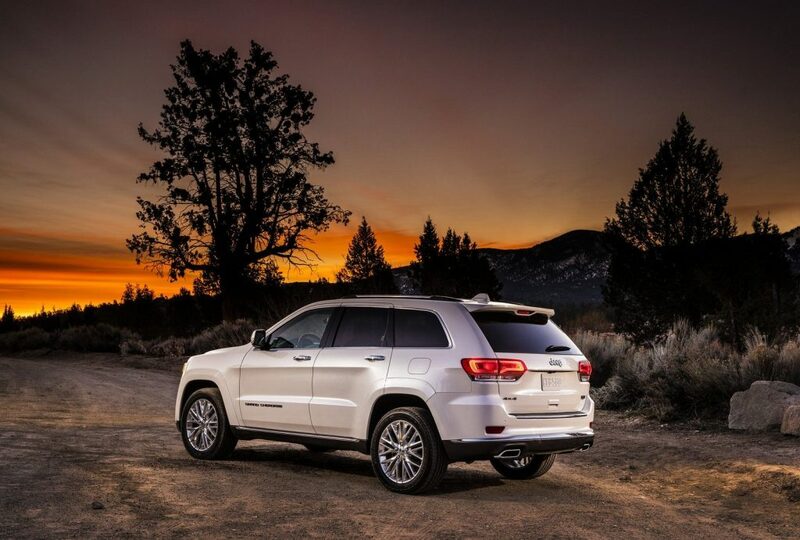 Though they have similar 0-60 times, the Grand Cherokee will run a 3.5 second sprint over and over again. The Hellcat, as we all know, will simply smoke the tires even at the slightest provocation. Obviously, placed on a track with corners the Trackhawk will lose, but we reckon it will still be close. It’s also got something called ‘Torque Reserve’. The system will essentially tweak the supercharger bypass valve and the spark timing in real-time, generating an excess of reserve torque which can be instantaneously released when launching it from a standing start. 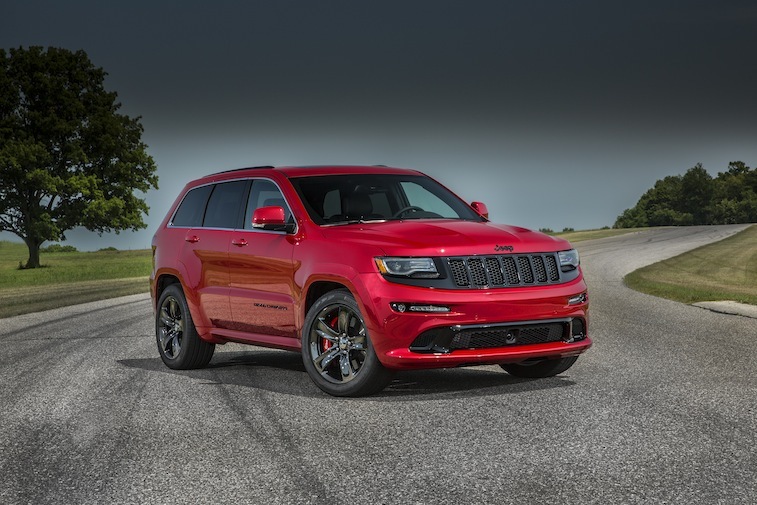 To cope with the added oomph of the Hellcat Grand Cherokee, Jeep has given it wider 295-section tyres, bigger and better Brembo brakes, Bilstein adaptive dampers and a few other suspension components. They’ve also strengthened the eight-speed auto to cope with the added strain a 4WD system exerts. So, this or an actual Hellcat? It’s your call.